Through the turmoil of low-end product and family troubles, the Barksdale Organization moves on though in different directions. East-side Joe makes Stringer a Proposition that's hard to refuse, but Avon is adamant. Lester and Bunk put Daniels in a tough spot, setting up their surveillance at the off-site office and pleading to join up their murder investigations with the case against Sobotka. Together with Greggs, Russell, and Prez they delve deeper into the smuggling process, getting a handle on how the operation works. The detail also continues to investigate the prostitution racket and make connections between the drugs and the docks. Herc and Carver meld lo- and hi-tech when they put their layaway wireless mic in a tennis ball and drop it on Frog's corner. They lose their valuable 'informant' almost immediately but gain some important information before 'he' dies under a Mack truck. Sobotka continues to pressure his lobbyist to re-open the grain pier AND dredge the channel, but is told that getting his way on both issues is unlikely. He's also feeling pressure from the Black coalition of the IBS local to give up his Sec/Treas chair, but insists he just needs one more year to finish what he started. Union health insurance and job security takes a non-traditional form as Frank scrambles to compensate a dock worker who loses a leg on the job. Where does the money come from, anyway, Frank? RIP Fuzzy Dunlop. We hardly knew you as well as we should. Herc won't learn his lesson from the death of fuzzy dunlop, and will actually try this again in the future with... even less success. Daniels finally gives in and takes the murders here, which is pretty much it for his relationship with his wife. Partners in the Wire aren't portrayed super sympathetically, but both Greggs and Daniels partners expected something quite different: partners with aspirations, but unfortunately both Greggs and Daniels love the job too much to go the easy career route their lovers want them to go. I like how, while the show sympathises with Sobotka's take on technology: that it'll take away jobs, it almost immediately demonstrates the costs with the current way of doing business, with a dock worker suffering a horrible injury. Maybe a dock with more modern technology might be able to attract business without political help? Unfortunately Sobotka is too set in his ways, too determined to help every dock worker or none at all. 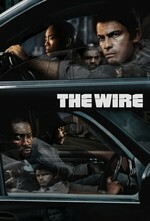 I confess, it wasn't until my most recent Wire re-watch (number...I dunno, 10? 12?) that I got the "Fuzzy Dunlop" joke. I thought it was jut a stupid name Herc came up with. What's the joke? It always looked like one a la 'fuzzy duck', but I never got it...? 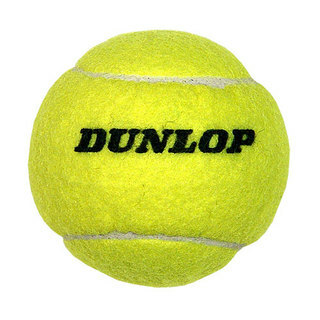 Dunlop is a brand of tennis ball, which is fuzzy.